Choosing paint colours that bring in a relaxing home environment are easy to choose. Sticking with neutral paint colours is always a sure and easy way to getting that cozy atmosphere in your living room or family room. Bring the serenity to a bedroom, bring relax and enjoy to the dining room and kitchen area. Paint colours are the compliments you give yourself every day when you walk into a room in your house. They help to set the mood for the day, and help you unwind at the end. 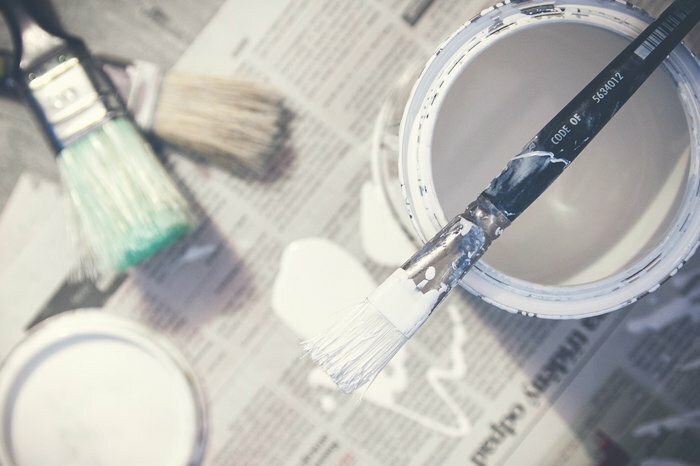 Painting rooms in the house such as the bathroom, the kitchen, the bedroom, the family room, the living room, the dining room and even the basement sets your home apart from others. Picking the perfect paint colour scheme is your signature to your creativity. We list a few of our favourite paint colours for any room in the house that will hopefully help you find that perfect balance and bring the relaxing feeling into your home every time you walk into a room. Here are a few favourites used in Ottawa area homes. 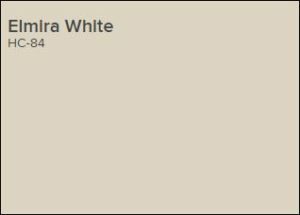 Elmira White HC-4 by Benjamin Moore Paints is a popular paint colour that interior designers use as a go to choice. Homeowners also favour this easy on they eye colour that is an in between a beige a gray and a white giving it that new paint colour name you have probably heard mentioned often it’s called greige. After a long and stressful day of running around with the kids, working an 8 to 10 hour day it’s a soft neutral paint colour to come home too. Giving you that feeling of wrapping yourself in a cashmere bath robe it overflows with subtle calm just like a spa would. 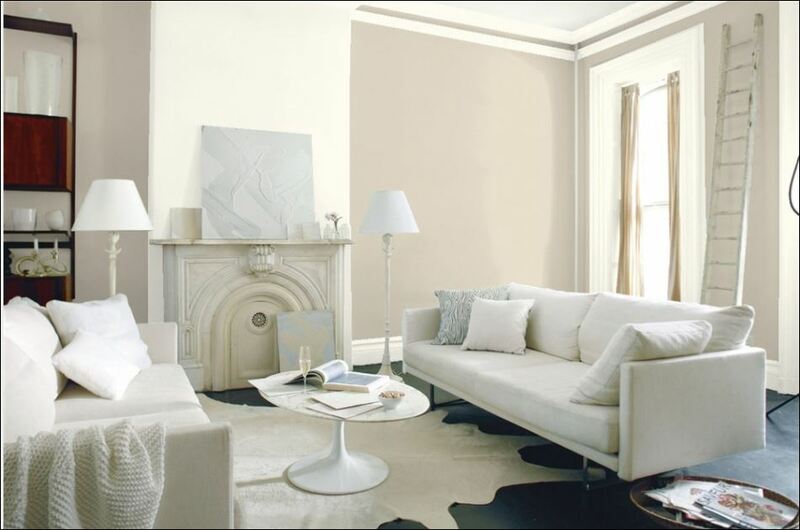 Imagine feeling like that every time you walk into a room you painted in this calming neutral. 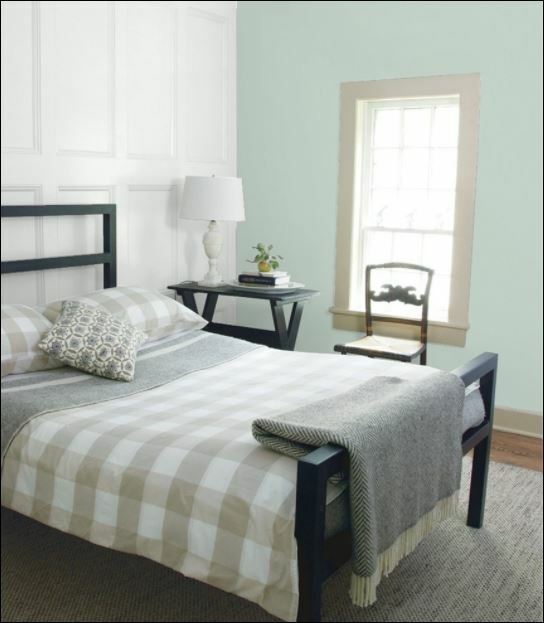 See the link to the Elmira White Benjamin Moore Paint colour at the end of this article. You can see the complimentary colours you can use to paint the trim, baseboards, ceiling or accent wall. 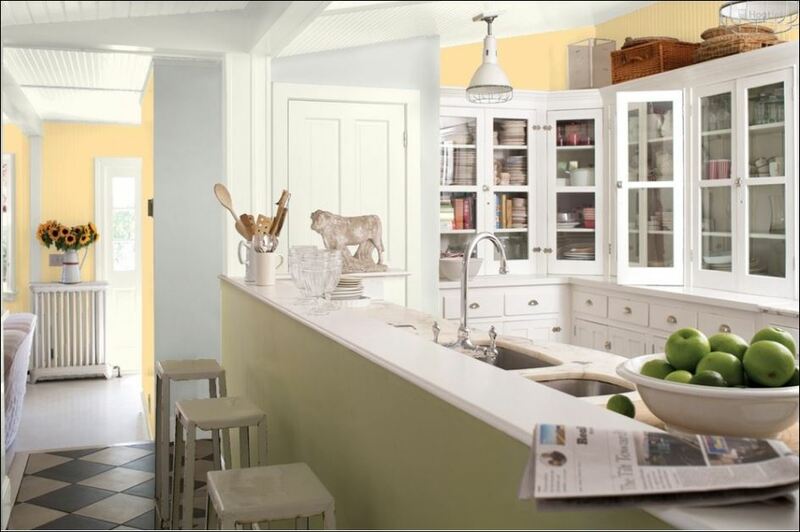 Get your dose of Vitamin C & D with a sunny and bright cheery paint colour like Hawthorne Yellow. It’s not too bright of a yellow like a lemon and it’s not as deep as gold but it’s that just in between perfect to give you a feeling of being energized every morning as you get ready for the day and in the evening when dinners have to be prepared after a long day at work. It’s subtle and mellow yellow that makes a perfect mood booster each time you walk into your kitchen. 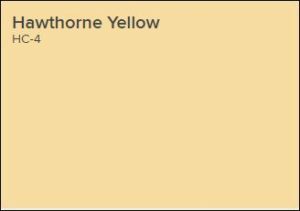 See the link to the Hawthorne Yellow Benjamin Moore Paint colour at the end of this article. 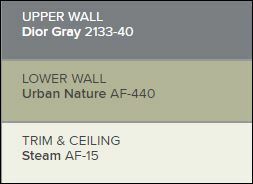 See the complimentary colours you can use to paint the trim, baseboards, ceiling or accent wall. It’s that in between blue. 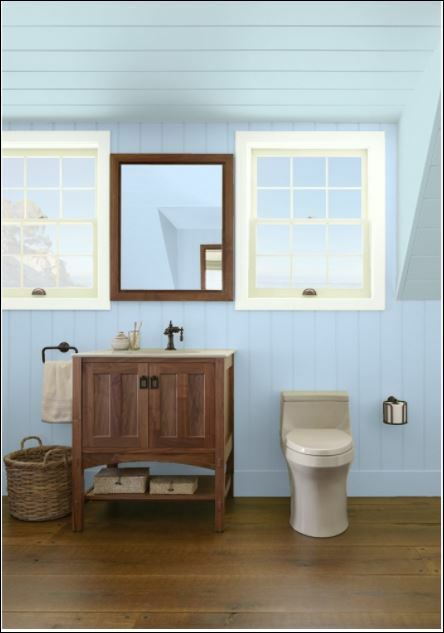 For painting a bedroom Palladian Blue gives you a soft relaxing feel. Like Zen or stepping into the spa each night when you retire to your room for a good night’s sleep. It’s the mature adult version of blue, rather than getting a baby blue, or blue jay blue that would make your room look like your little one’s. This paint colour although in the blue family of colours, actually gives off a hint of green. Dependent on your decor scheme in fact it’s a colour that blends perfectly to give you either a hint of blue or gray with the way you accessorize your room. 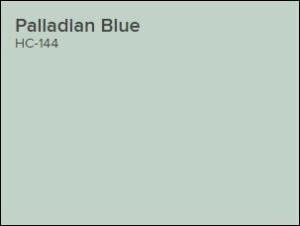 See the link to the Palladian Blue Benjamin Moore Paint colour at the end of this article. You can see the complimentary colours you can use to paint the trim, baseboards, ceiling or accent wall. Such a soft blue paint colour. Perfect for painting a bathroom in Blue Ice. It’s not too bold and dark, yet gives you that feeling of fresh helping you wake in the morning and get started with the day and be ready to tackle whatever comes your way. It too gives you that feeling of walking into our own spa every day. 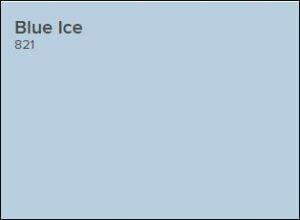 See the link to the Blue Ice Benjamin Moore Paint colour at the end of this article. 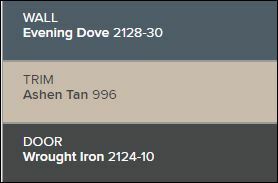 See what complimentary colours you can use to paint the trim, baseboards, ceiling or an accent wall. 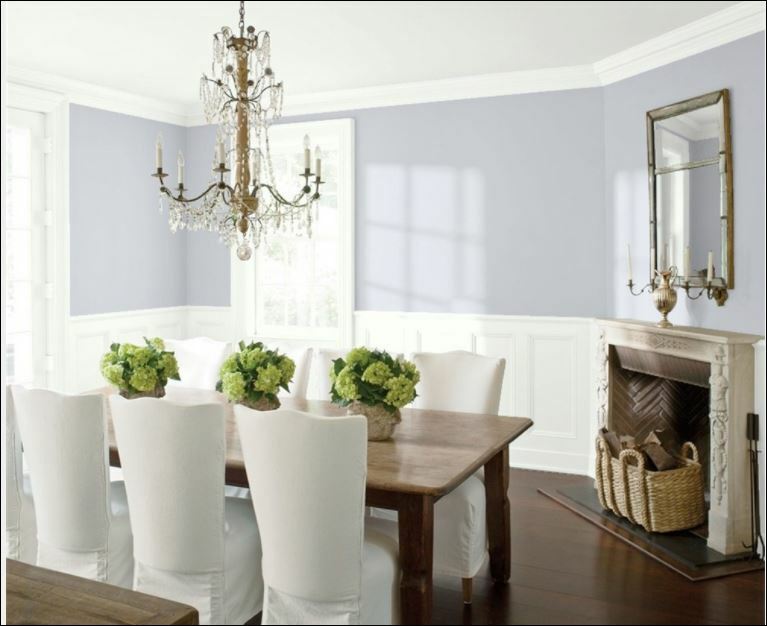 Paint the Dining room with a serene gray like Misty Memories. It’s the perfect complimentary colour for painting the dining room as it is inviting for family and friends to sit and enjoy a dinner, good company and great conversation. 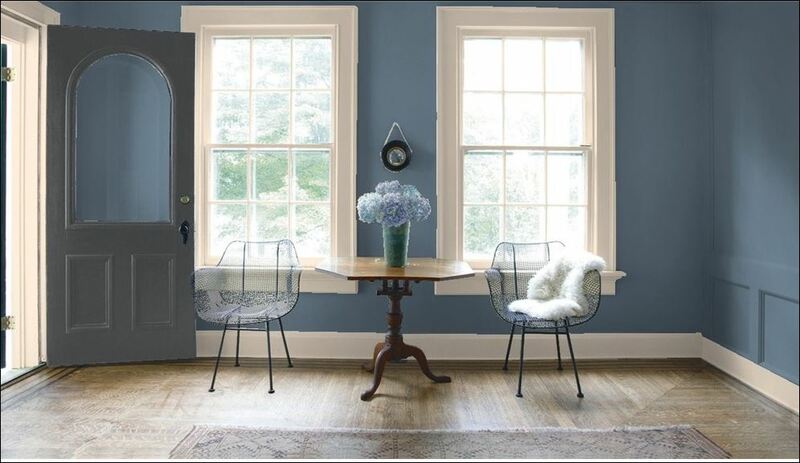 Highlight the paint colour with softer hues like distant gray to paint the trim, baseboards and any doors. You may even want to highlight that 5th wall usually referred to as the ceiling by painting it a darker shade of the gray. Since the family room is where everyone gathers at the end of each day and spends time together on the weekends here’s a room that a paint colour plays an important role. You want to pick a paint colour that everyone will love. Sticking to the neutral grays which are trending these days is always a perfect choice. You can combine dark and lighter paint colour shades of the grays just as the ones mentioned for the home office, the dining room or the entrance. Have fun being creative, while putting together one of the most used rooms in any house. 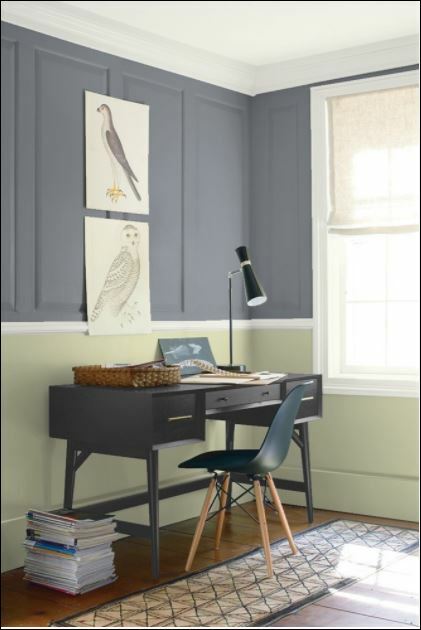 Painting the home office in a modern soft gray like Dior Gray from Benjamin Moore Paints gives a soft relaxing atmosphere. The complimentary paint colours like Urban Nature and Steam will help not make it too relaxing that you could fall asleep 🙂 these paint colour combinations are perfect for a productive room such as a home office. 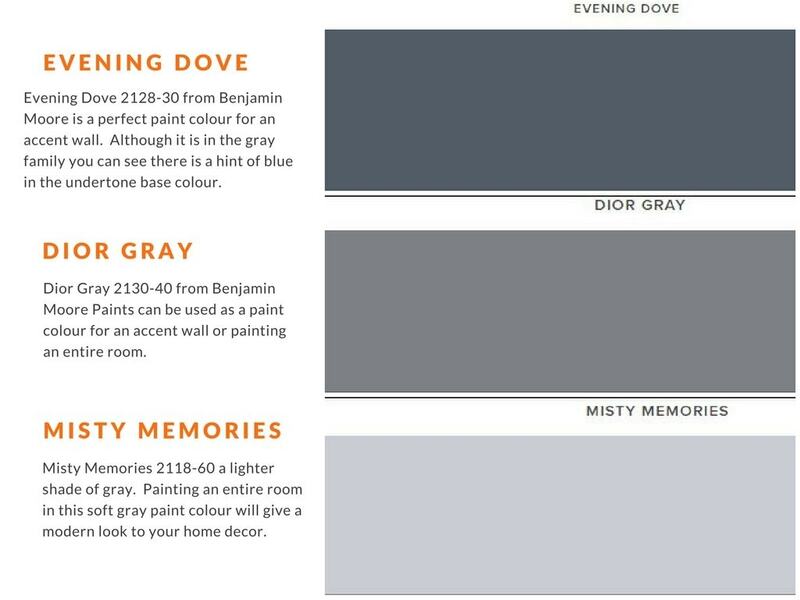 Evening Dove from Benjamin Moore Paints adds drama to a front entrance and hallway. 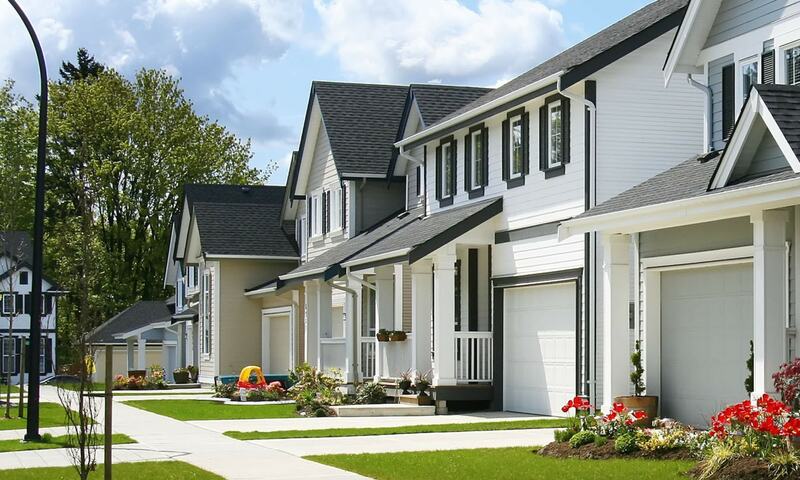 It invites you into your home each day and your guests and family will love walking in to your modern and inviting house right from the dark gray paint on the door. 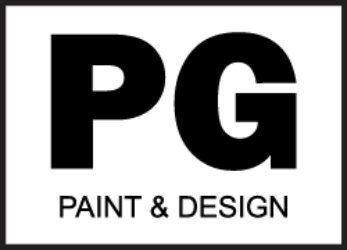 Below are the links to all the paint colours mentioned in this article. Follow the links for inspiration on choosing paint colours for painting a living room, kitchen, bedroom, bathroom, dining room, family room. 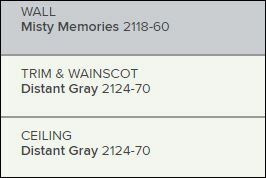 paint colour Misty Memories perfect shade of gray for a dining room, family room, living room in fact any room in the house. Professional house painters are always knowledgeable in knowing what paint colours work best in your home. They can help you with paint consultations and will provide you with ideas. Always check out their full list of services and ask all your questions.